You can’t shake a stick at a business blog without coming across leagues of professionals gushing about email marketing. After a while, listening to those marketers and small business leaders talk about the value of their email list begins to resemble that one scene, and its accompanying soundtrack, in The Lion King. It seems too good to be true. 3800% average ROI? No way. 89% of professionals say email is their preferred channel for lead generation? That’s a bit much. But there’s a reason for it. Email marketing is not a one-sided affair between businesses and customers. Like The Lion King, email is beloved by all in the commerce kingdom. In fact, 73% of consumers rate email as their top-choice channel to receive marketing messages and interactions. But you probably already know all of that. If you’ve taken even a passing glance at a marketing article -- on our blog or elsewhere -- you’ve likely come across the stats, and you know that an email list is a must-have for any business, small or large, to survive. That’s not what you’re struggling with. No, your problem is much more practical in nature: you understand that you need an email list, but how on earth are you supposed to build one from scratch? And moreover, how do you generate a list quickly without compromising on quality? Which is what we’ll take care of today. First, we’ll explain why, then show you how, and finally top it all off with a done-for-you lead magnet solution to energize your list building in as little as ten minutes. A lead magnet is any offer, usually a resource in the form of a digital download, that users receive in exchange for providing their information. At a minimum, lead magnets ask for users’ email addresses, but it’s not uncommon to encounter additional requirements. The key differentiator between a lead magnet and any other form of content marketing -- more on this in a second -- is that lead magnets come paired with a specific reward dependent on users taking the desired action (e.g., joining your email list). In other words, this subscription box on Backlinko’s homepage is not a lead magnet. 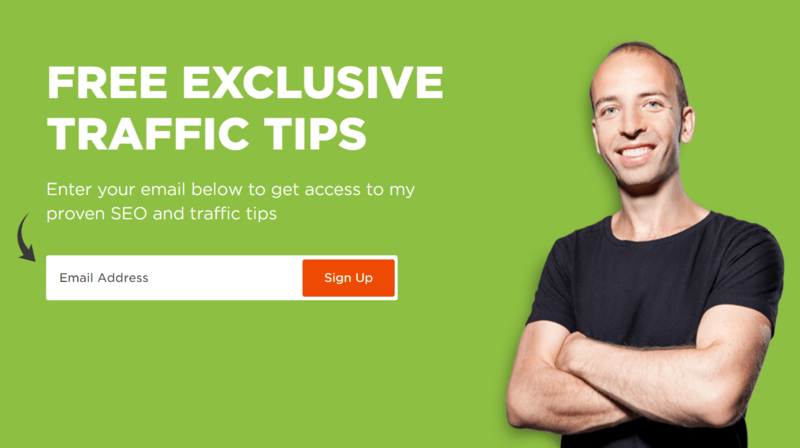 While the tips and tricks may indeed be exclusive to Brian Dean, they are not provided in as a specific resource in exchange for the user signing up. Conversely, this case study found at the bottom of the same page is a lead magnet because the resource is gated behind an email address box. 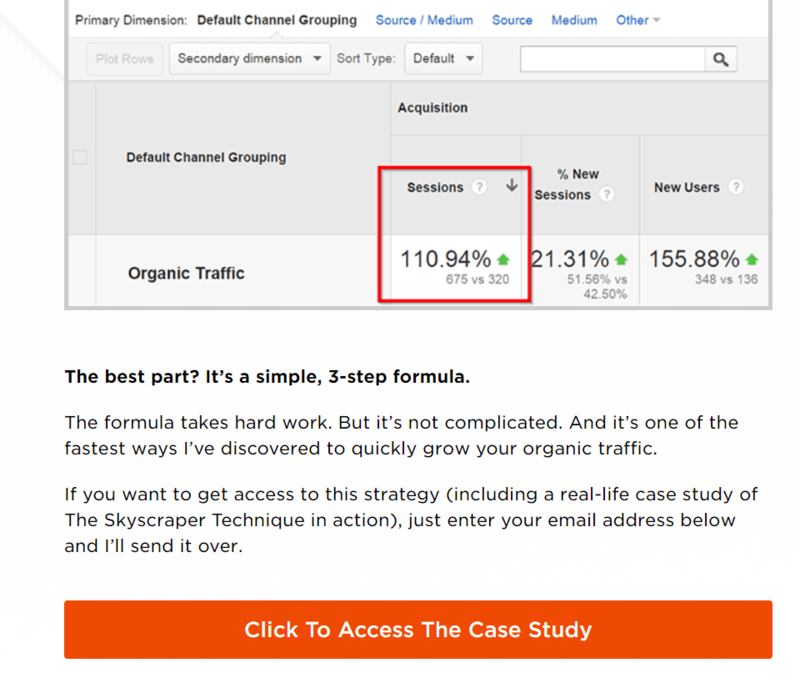 It’s only after users’ take the desired action and convert to subscribers that they can access the case study. Both buttons take the user to the same destination -- Brian’s email list -- but it’s only the second that incentives potential subscribers with an event-based reward. As a rule of thumb, the easiest way to remember what classifies as a lead magnet and what does not is to apply the “if, then” formula. If the user takes the desired action, then the user will receive xyz in exchange. If the user does not take the desired action, then the user will not receive xyz in exchange. But that’s enough dictionary-diving. Beyond the above definition, how (and why) do lead magnets work? The steps can vary -- users may start on the lead magnet’s landing page -- but the relationship between action and reward is otherwise constant. Which brings us to the ‘why’ behind lead magnets. Unlike blogging and SEO, which attracts traffic by using keywords, marketing funnels, and sales writing to encourage users to become subscribers and join your email list with an ask box, lead magnets skip to the chase. 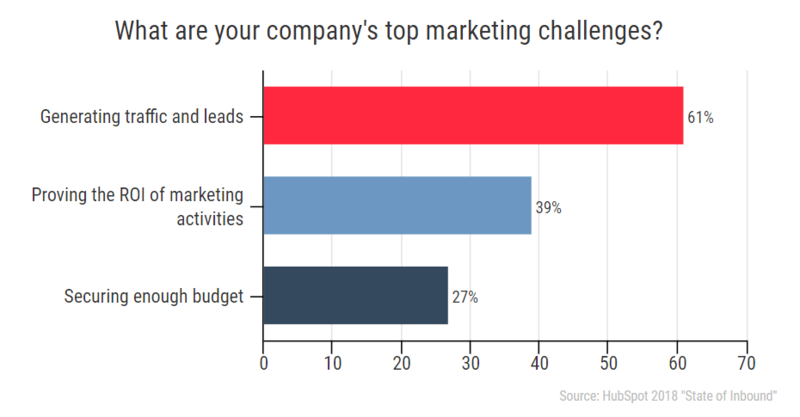 Which means that lead magnets solve the top marketing challenge experienced by 61% of professionals worldwide by generating traffic and leads in one fell swoop. Another way to think of it is like the difference between messaging someone on a dating app and warming them up with witty one-liners or asking that same person to have dinner with you when you’re both already at the restaurant. Do it right and you’ll have an email subscriber in a fraction of the time that it takes to execute your formal content plan. Do it wrong and users will flounce, rightfully so, and never return. That isn’t hyperbole, by the way. 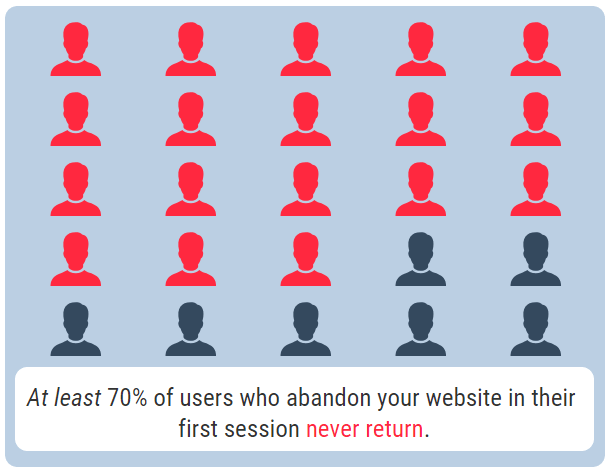 At least 70% of users who abandon your website on the first visit never make their way back again. So getting the lead magnet right isn’t just about generating more leads -- it’s about making the strongest first impression possible when visitors do convert into leads. OK. At this point, hopefully, you’re sold on the value of lead magnets for building your email list. If so, you’re probably wondering how you can create your own without earning a small degree in graphic design or computer science. The short answer: by leveraging the right touches at the right time with the right people. 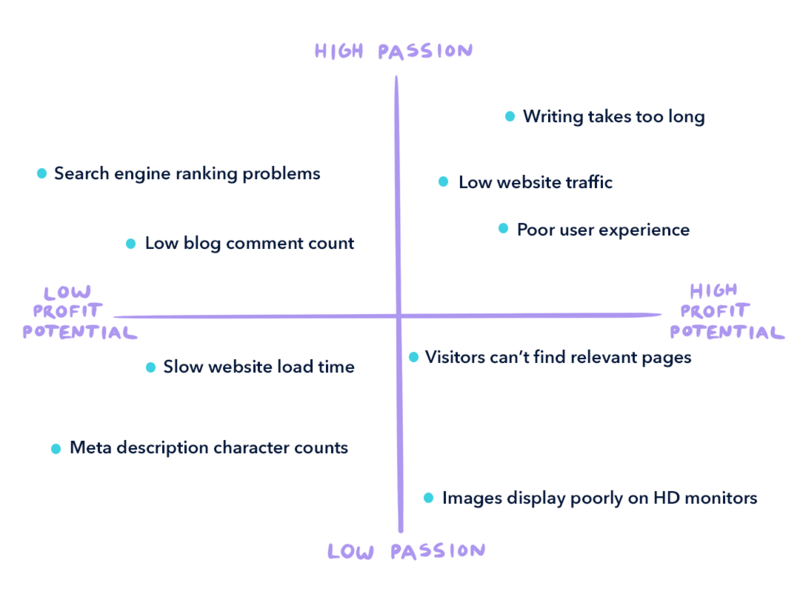 Before you dive into a hopeless pit of despair trying to figure out when, where, and how you’ll put together a lead magnet that attracts users, take heart. What well-performing lead magnets all have in common isn’t the length of time it took to create them, the budgets behind them, or even the skill of the creator: it’s in their targeting. Put simply, the more aligned and relevant the lead magnet is to the audience you’re trying to reach, the better your lead magnet will perform for your business and your customers. Remember, your goal with any type of content -- whether it’s a lead magnet, a blog post, or a webinar -- should never be to appeal to the general masses. Instead, your golden rule should always be to appeal to your specific audience. After all, 71.7% of users who cited content as irrelevant flagged it as being too general in nature. 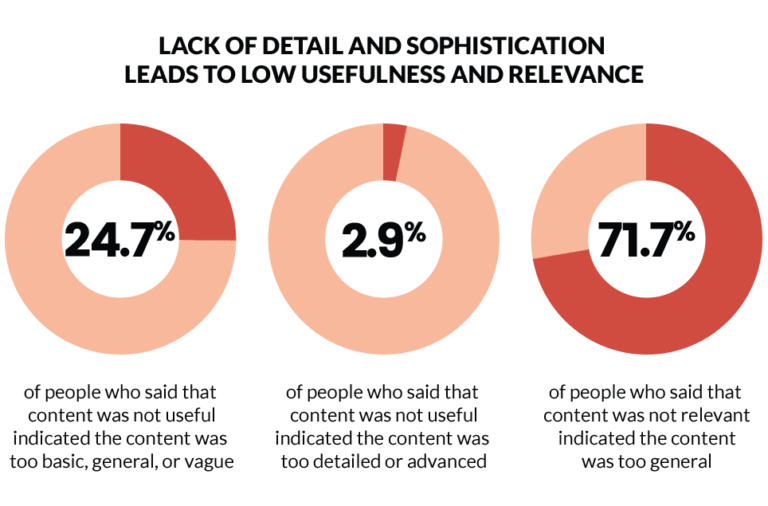 Comparatively, only 2.9% of the same user group said that content was irrelevant because it was too advanced or detailed. Any type of product, lead magnets included, that seeks to please everyone will delight few and be forgotten by many. Now, with that soapbox out of the way, how do you ensure that your lead magnet is relevant to your audience? Beyond nailing your customer research down, it’s helpful to evaluate your users’ pain points. Pain points, if you’ve never come across the term before, refer specifically to problems your users are facing that are relevant to your business. They are not the solutions to those problems. 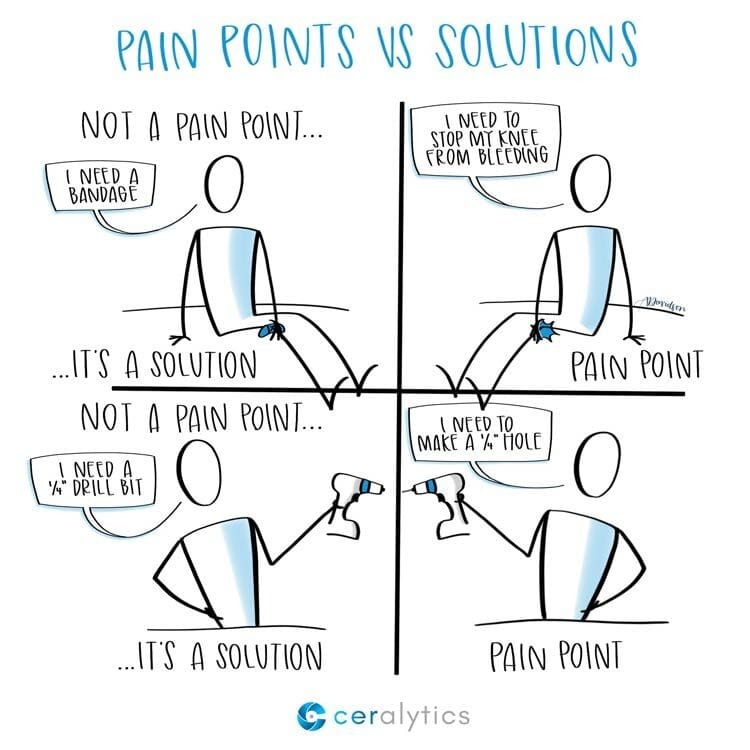 This comic by Ceralytics nicely demonstrates the difference between pain points and solutions. As an example, let’s say that your primary business is selling online courses about vector illustration techniques. I need to compress my files without losing quality. I need to create a compelling logo for my client. I need to cut down on my time between pitch and deliverable. I need to save files in .PNG format. 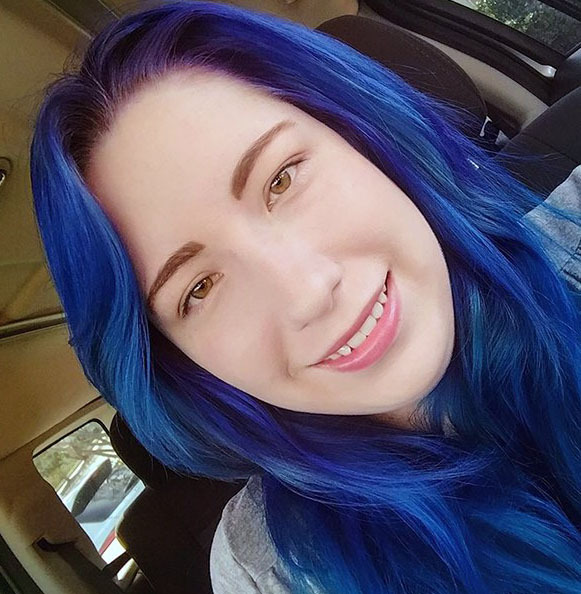 I need a color palette for my client. I need an automated workflow. Why? Because the first half are problems that don’t yet have solutions, and the second half are the (possible) solutions to them. However, while pain points are a helpful way to narrow the focus of your lead magnet, not all pain points make for well-performing content. There are a multitude pain points that customers can experience throughout the day, and if they’re not something users are passionate about solving -- i.e., actively seeking solutions to -- then even if they are relevant, your lead magnet won’t make the waves you’re hoping for. A good lead magnet must be both passion-fueled and profitable. If this dualism sounds familiar, it’s similar to the concept behind Podia’s Passion/Profit matrix, and indeed, can use the same template. The difference here is that unlike the original matrix, your lead magnet ideas should be sorted based on users’ passion. 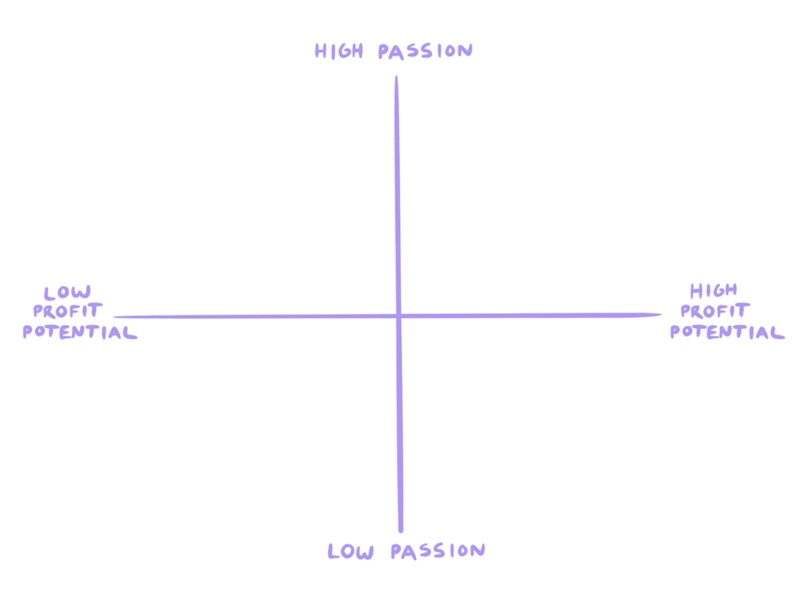 So if it’s a pain point that people are passionate to solve -- i.e., you can find Reddit threads asking for help, and there’s already a market for similar premium products -- it fits into the top right quadrant and will produce an audience-relevant and targeted lead magnet. If, on the other hand, it’s a pain point that users aren’t already keen to solve or willing to pay a fee to make go away, then it would fall into the left side of the matrix and probably shouldn’t be your next lead magnet. Ideally, you’ll already have this information at hand from your audience research and interactions with customers, but if not, take a swing by our guide on how to do effective customer research and then fill in the gaps. Lead magnets that succeed are relevant to their intended audience and address specific pain points. Now, with that guiding precept out of the way, what are some of the easiest lead magnets to get started with? We’ve got three for you today, and as it happens, they’re all supported by our recently released digital download generator. So if you prefer to do things the easy way, I recommend opening our download generator in a new tab and following along. But regardless of how you put your lead magnet together, apply these tips and tricks to make it stand out from the pack. We’re going to be focusing on three formats today -- our favorite types of lead magnets and those that have worked best for us -- but if you’re interested in exploring other formats, Blogging Wizard has an exhaustive guide on lead magnets that I’d highly recommend. Sound good? Then without further ado, let’s dive in. Checklists are, hopefully, fairly self-explanatory and include anything that users can interact with by checking off items, either on a computer or with a pen. They’re usually less visual-heavy than other formats. Note, however, that I say less visual-heavy and not visual-free. On the whole, marketers working within content marketing prefer content that incorporates visual appeal, and this includes checklists. Why? 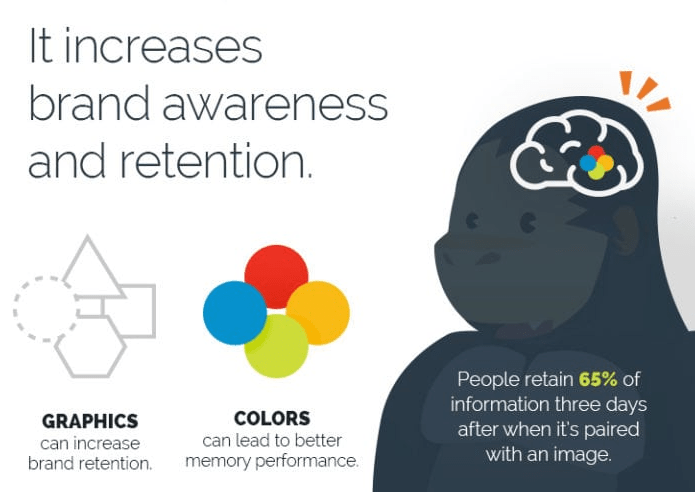 There are a few reasons that checklists should incorporate visuals, but the most striking is the impact it has on brand awareness. Three days after exposure, people can retain up to 65% of what they see if it was paired with an image. Or, put in more practical terms, adding visuals to your checklists makes them distinguishable and memorable, which in turn keeps your business top-of-mind when users are putting your checklist to work. But that doesn’t mean you have to have a wildly artistic design to make an impact with a checklist. Even just small visual touches can go a long way. 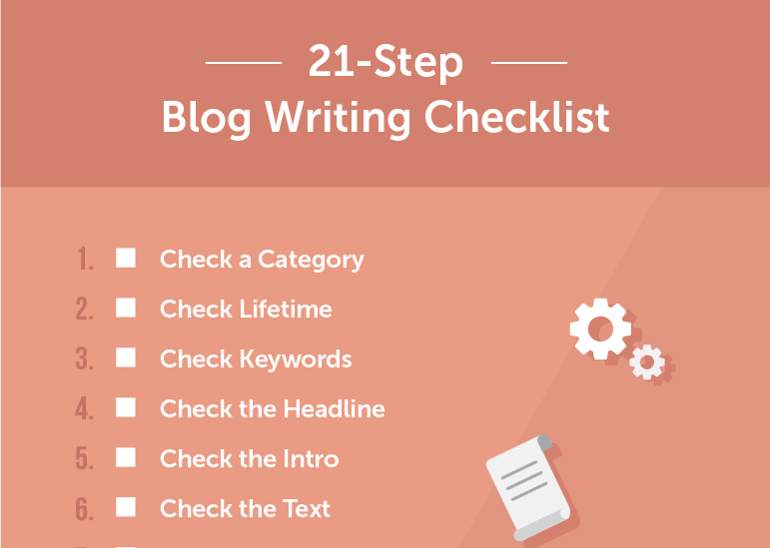 For instance, take a look at this (abbreviated) blog writing checklist by CoSchedule. Evaluated objectively, it's not a particularly sophisticated graphic, but it still incorporates colors, iconography, and visual hierarchy to make the content itself -- the 21-item checklist -- stand out compared to competitors and increase the perceived value of the offer. 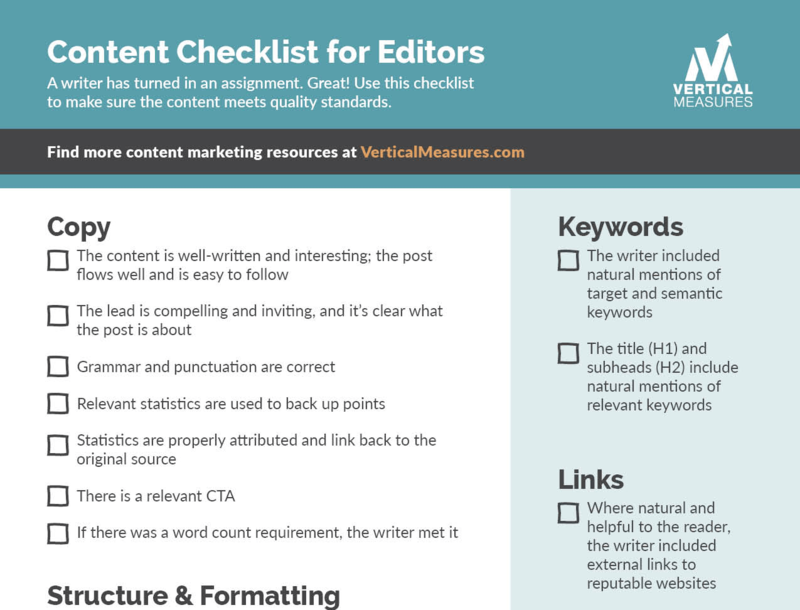 You see a similar approach in this content checklist for editors by Vertical Measures. Is the actual content of this checklist viable and useful to readers? Absolutely. But would someone remember that it came from Vertical Measures, or to turn to them as an authoritative source on blog content if it didn’t include branded colors and a logo? Possibly, but not likely, and not easily. And easy, no matter what type of marketing you’re doing, is always the goal. Checklists should incorporate colors and your brand logo to make them memorable and improve their overall appeal. The meat of the content may be the copy, but even a great steak benefits from a well-placed garnish. Also referred to as white space or negative space, adding ample margins and spacing between your list items improves readability, comprehension, and clarifies the relationships between objects. The difference between a list with spacing and one without may seem subtle, but the impact on user engagement -- and overall usability -- is anything but subtle. When the list is only four-items long as in the above example, the narrow margins and tight composition may be forgivable, but imagine the same spacing in a list that’s 20-items long. Or better yet, take a look at it for yourself. The only difference between these two lists is a 0.20 increase in line spacing, but the ability to scan and digest the information is a world of difference. And if your numbered list is leading someone through a process, it’s not a difference you can afford to skip. I actually mean “afford” in the literal sense, by the way. Increasing white space between items can uplift conversions during checkout as much as 33%, as it did for Xerox, while fostering a stronger user experience and user engagement level overall. This improvement in conversion and comprehension has been demonstrated repeatedly by different research teams, and there isn’t a single element in your digital presence -- or products -- that won’t benefit from well-applied white space, including numbered lists. Numbered lists need a visual balance between their elements to retain their usefulness to users. If your reader has to squint to read through your lead magnet, it’s not going to create a compelling user experience or demonstrate the value of your brand. Which makes for a lead magnet that draws traffic in and loses them in the same breath. Ouch. If the above header seems oddly specific to you, there’s a reason: this tip only applies when you’re creating ebooks as a form of a lead magnet. For an ebook formatted as a lead magnet -- whether it’s a case study, a short story, or a chapter snippet from a larger book -- you want to keep it to around 7 minutes of reading time, or 2,000 characters. 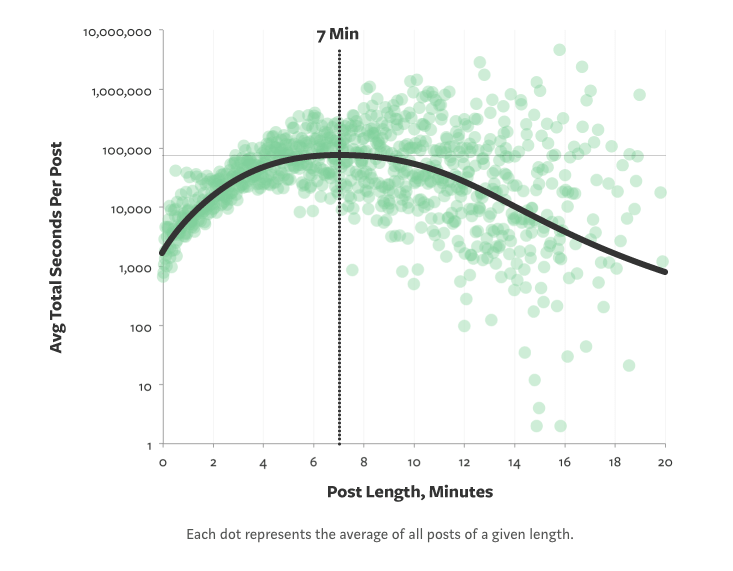 This number comes from research done by the blogging platform Medium on the optimal length of a long-form post. The vertical axis (the bar running from top to bottom) represents the total time users spent on the post; the horizontal axis (the bar from right to left) represents how long the post would take to read at a normal pace. Users don’t want to spend hours on a resource, even a great one. And as a business, it isn’t beneficial for you if they spend hours on it, either: even if your 50,000-word guide is the best ebook on how to crochet cute sea animals, it isn’t digestible, and users aren’t likely to finish it in one sitting and peruse your other offers any time soon. 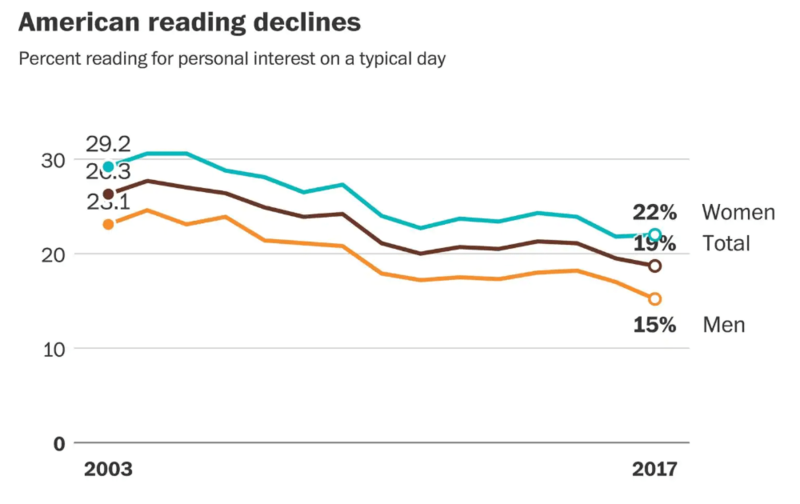 After all, reading for pleasure is at an all-time low in the US. Which likely coincides with the fact Americans, more than any other group in the world, spend their weekends working. All of which brings us to the main point of this: people don’t have a lot of time to spare. If the purpose of a lead magnet is to incentivize users to join your email list so you can nurture them for purchase, an ebook that takes them a week to work through (assuming they get that far) doesn’t do either your business or your lead any favors. So keep it short and to the point. It’s a win-win for everyone. Basically, think of lead magnets as multivitamins. They won’t cure your email list woes overnight, but they will give you -- and the people who sign up for your list -- the growth spurt you need to get where you want to go faster. Lead magnets are offers, usually in the form of downloadable resources, that give users a reason to join your email list. The best lead magnets are targeted to their intended audiences. The more general your lead magnet is, the more lukewarm the reception will be. 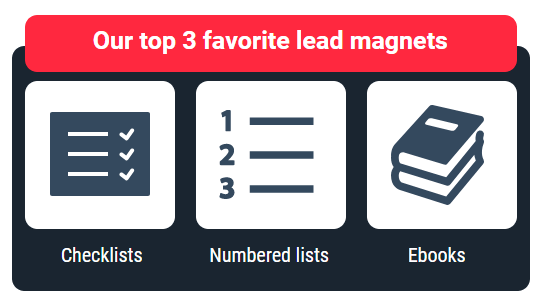 Lead magnets can take any format, but the easiest to get started with are checklists, numbered lists, and ebooks. When you’re putting together your checklists, make sure you include small visual elements. Without them, your brand -- even if the list is amazing -- is forgettable. 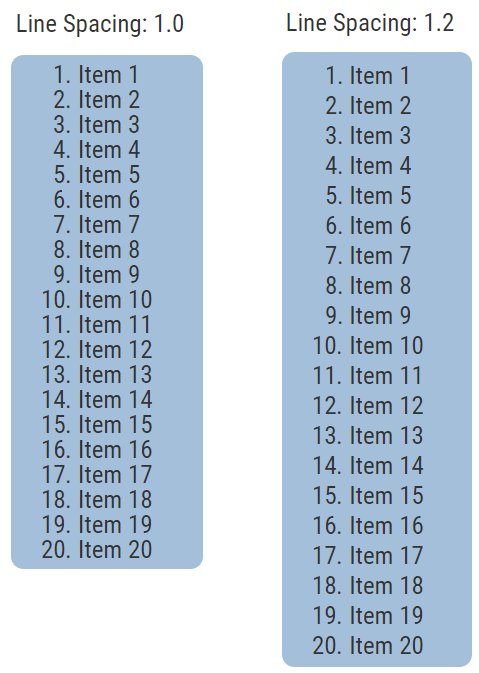 Numbered lists benefit from visuals, as well, but they need spacing between their items to be usable. Crowding your list doesn’t make it more impressive -- just less comprehensible. Ebooks packaged as lead magnets should follow the same rule of thumb as long-form posts -- keep it short and to the point. Around 2,000 words or a 7-minute read time is ideal. Of course, if you’d rather skip the meticulous checking, tweaking, and formatting involved -- I would -- you can apply all of these concepts in a simple 10-minute session with our digital download generator. But you know, maybe you’re into line spacing and character counting. I won’t judge.